There are no current polls! It's been a long time since the Urban Terror community has put together a proper jump related event. 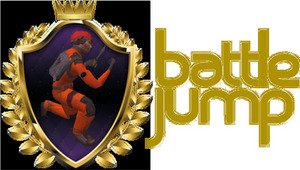 To remedy that, Sachka and Hugo are organizing the Battle Jump Tournament, hosted by Urban Zone, and everybody from beginner to skilled jumper is welcome to participate. There will be three different divisions in which people with the same skill level compete against each other, on maps with matching complexity and difficulty level. The goal is to be the fastest in your bracket to finish the maps. The tournament will span several weeks and multiple maps will be played in each division. To participate, it is necessary that you are using an Urban Terror account and that you are registered on the Urban Zone website. For this first edition of the Battle Jump Tournament, the organizers offer 50 € to the winner of each division. • October 18 - Contest rules published on the Urban Zone website: Download Rules PDF! It is crucial that you read attentively the rules to make sure everything go smooth all through the tournament. We do not want to repeat ourselves every time a participant break a rule. • October 20 - Maps list announced on Urban Zone and HDdev Community website. • October 21 - Registrations open on the Urban Zone website. In order to avoid an everlasting tournament, we have to implement some end dates as to when you can send your demos for each maps, you are asked to send your first run for each maps before the 20TH NOVEMBER (european hour - UTC+1). We do not want to penalize you so we're giving you a chance to give a demo for each map in the next 10+ days until the 20th. We will send this message to each participants to make sure everyone is aware of this change in the rule, so if you still haven't given your first demos after the 20th, you will be removed from the tournament. Again, it's crucial to remember that the first demo you send on a map isn't necessarily the one taken into account, you will be able to make two more attempts in order to beat your first time. We thank you for your comprehension and wish you the best of luck to everyone !